The name ‘Sherwood’ was first recorded in 958AD when it was called Sciryuda, meaning ‘the woodland belonging to the shire’. 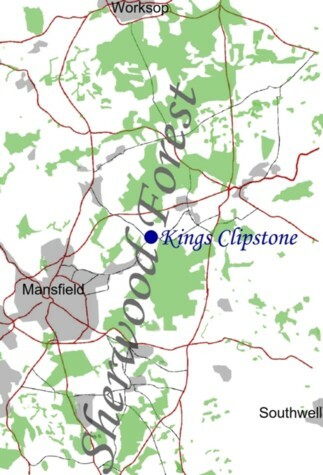 Large parts of Sherwood were never part of the Royal Forest. In Mediaeval times the word ‘Forest’ didn’t mean a lot of trees but land subject to ‘Forest Law’. The land would be a patchwork of woods, heath, villages, farmland and wood grazing. Royal Forests were normally created where there was already a cluster of royal manors and were a way of the King protecting his land. Most of the area covered by the ancient Sherwood is still covered by trees today, there are more trees in Sherwood now than in the ancient wood. The forest owes its survival to the fast draining sandlands which had always been of low value for agriculture, although where irrigation is available they have become the second most important vegetable growing area in the country. Sherwood was dominated by birch and oak woodland and large areas of open sandy heath and rough grassland with most of the villages around the outer edges. Medieval woodland was by no means wild. It was a productive resource that was carefully managed. Landowners got the most value from their woodland by using techniques such as ‘coppicing’ and ‘pollarding’ to produce poles and laths for building. ‘Underwood’ (twigs, brushwood etc) was collected and sold for domestic fuel, and the woodland supported several industries, such as charcoal burning and the stripping of oak bark to use in tanning leather. The autumn crop of acorns produced in oak woodland was used to feed pigs. Cattle, sheep and deer grazed ‘wood pasture’. Holly appears in the forest as a winter feed for livestock.